I have tried to draw up everything that follows into an “Executive Summary”, hoping to encapsulate in as few words as possible the essence of what has emerged during this long analysis of the available evidence. Interested and discerning readers are urged to follow to the fuller articles here, and to access the references, and then to research further for themselves. 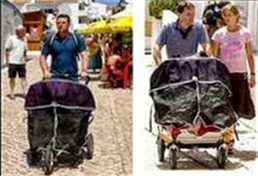 Now that the total and repeated falsehood of the claim the McCanns were “not suspects”, and that they had been ‘cleared’ has been specifically rejected first at the Appeal Court, and then by the Supreme Court in Portugal, might it perhaps now be time to consider other things they said. Is it now time for us all at least to be allowed to contemplate the following . . .? 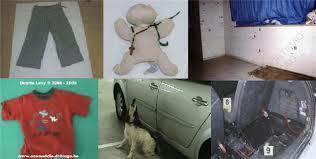 But there IS evidence of the death of Madeleine McCann in the McCann's holiday apartment. The dogs were surely the final straw. Britain's top earning dogs, Eddie (cadaver dog) and Keela (blood dog), were taken by handler Martin Grime to an underground car park with a selection of cars and clothing. 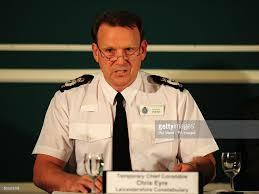 They alerted to places and items concerned with the McCanns - and importantly to no other places or items, and that fact does need to be repeated as often as we have time to do so. The alerts allow a short and tragic story to be told. Behind the sofa, on Kate's trousers (strong odour), on cuddlecat, to a shelf in the parents' bedroom, where a blue tennis bag had been photographed, then in the boot of the car, and on the key fob. 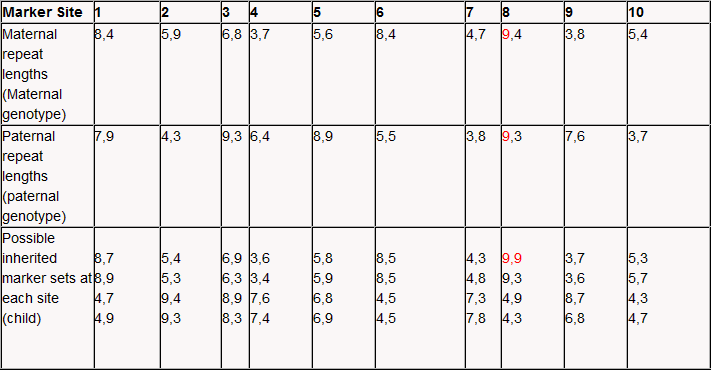 The sequence is not difficult to follow! - PeterMac, retired Police Superintendent. 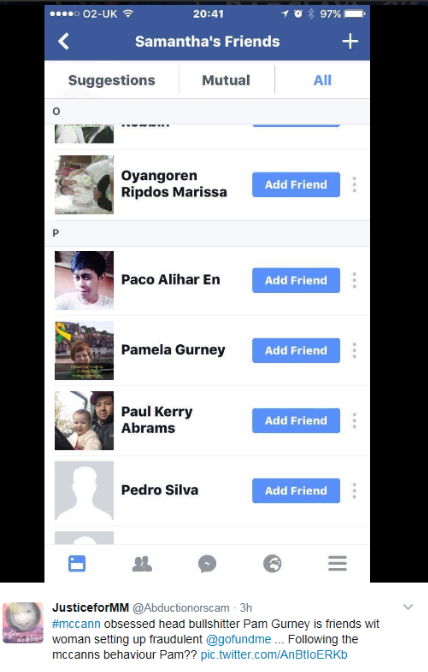 Surely NOT 'friends' with a 'possible' 5K scammer? Oh, hang on, you are!!! 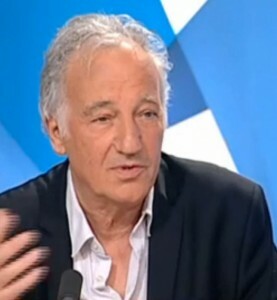 Taking 'advantage' of Madeleine's 'plight' is a big 'no, no'! 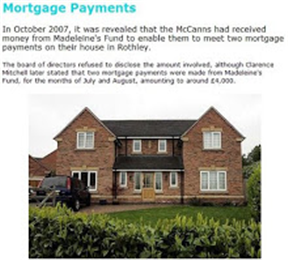 Ask the McCan'ts, paid over £244,000 FROM Madeleine's 'search' Fund, to date, 'spokesperson' CM. 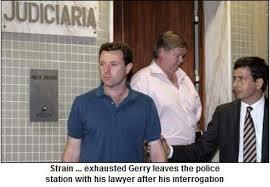 Do the Prime Suspects in the disappearance of their daughter, Kate and Gerry McCann, feel miserable and feel fear as they wished Gonçalo Amaral would, and as their lawyers ensured he did? 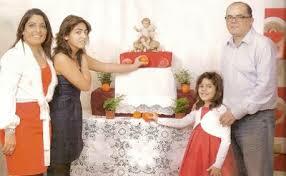 Do Kate and Gerry McCann and Clarence Mitchell and the UK media now wonder what Dr Amaral's next move will be? I have also sent it to the following publishers of the research: Nature, and Elsevier B.V. (publishers of ‘Computers in Human Behaviour’, where the full research article was published). 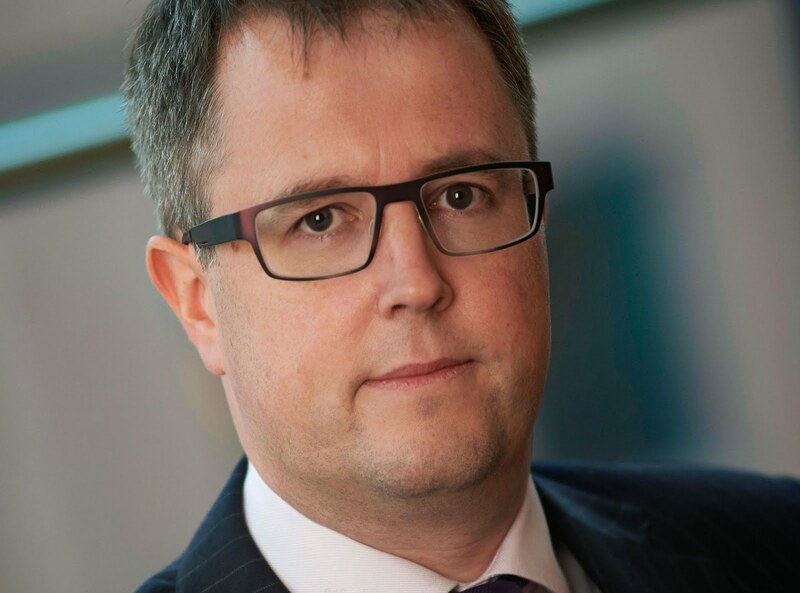 The letter has also been sent to the Chairman of the Ethics Committee of the British Psychological Society and the International Academy of Investigative Professionals, to whom Dr Synnott belongs. 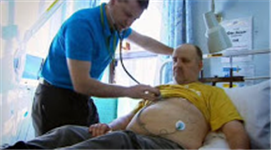 The research was seriously flawed, yet was written up in one of the world’s premier scientific journals, Nature, and in several newspapers including one of the world’s leading newspapers, the Washington Post. For these and other reasons, a strong protest needs to be registered and heard. Thank you Tony for raising this issue in the first place, and many thanks to every other member who has helped to compile what is a long letter. I won’t reproduce all of it, just the Executive Summary and the bit about ‘Our Interest’ i.e. why we’re making a big fuss about this research. I’ll just give the headings for the rest of the letter. 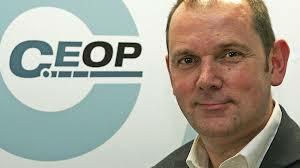 I write on behalf of my forum and my members to express serious concern about the conduct of two of your researchers, Dr John Synott and Dr Maria Ioannou, and a student researcher at Portsmouth University, Andrea Coulais, in the way they carried out a research project titled: “Online trolling: The case of Madeleine McCann”. 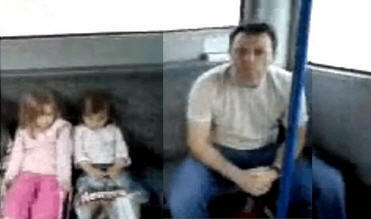 This letter has been composed by and is sent by several members of ‘The Complete Mystery of Madeleine McCann’, the leading Madeleine McCann discussion forum on the internet, currently with over 7,100 members. Some of the contributors to this letter have substantial academic experience. 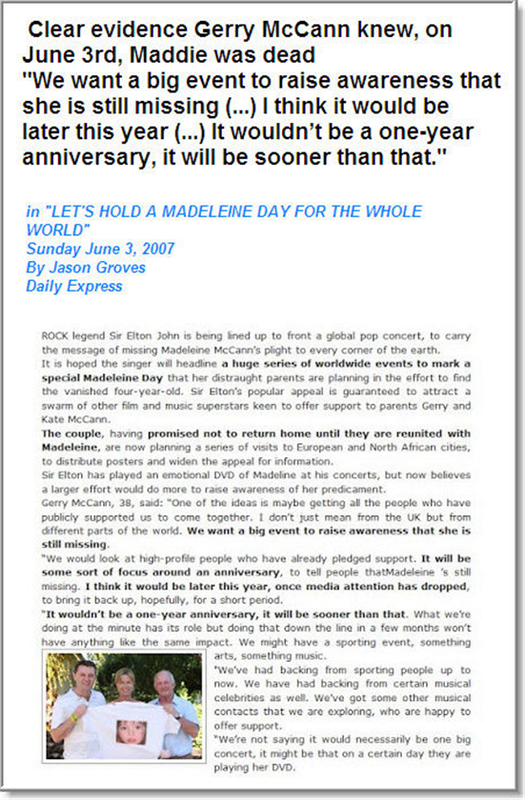 The forum as a whole doubts the McCanns’ version of events, along with dozens of other Madeleine discussion forum, blogs and websites, for very good reasons. 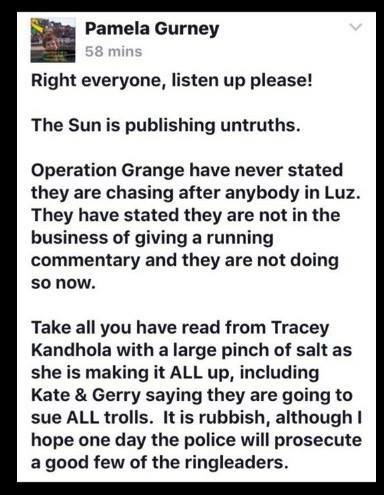 At the same time, any abuse or hate towards the McCanns is not tolerated on our site, and on the rare occasions where such abuse has crept in, members were promptly expelled. 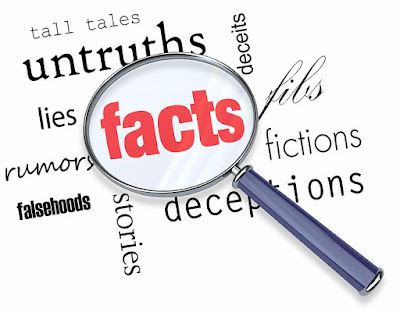 Forum members include professionals such as police officers and experts in statement analysis and other forensic disciplines such as DNA and photography. 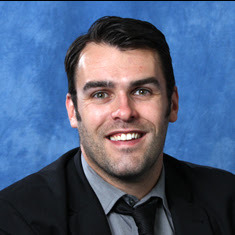 Dr J Synnott’s research project is seriously flawed for the following reasons, which are explained in more detail below. 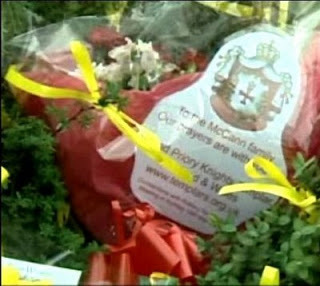 1 The entire project is founded on the false claim that the McCanns have been declared, or may assumed to be, ‘innocent’. That was never the case. 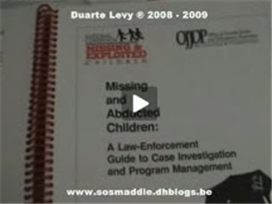 When the Portuguese police shelved the case in July 2008 they specifically declared that no-one was being prosecuted because there was insufficient evidence of either (a) abduction or (b) hiding Madeleine’s body. 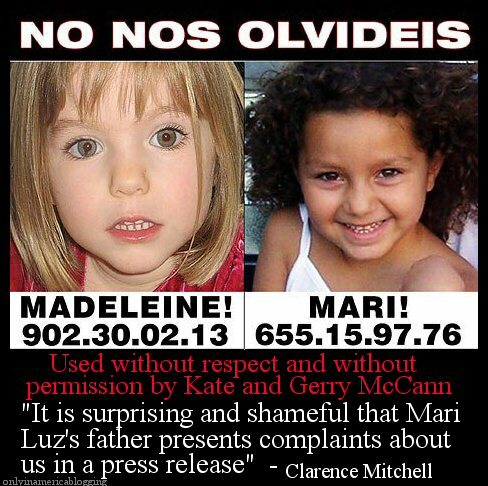 More recently, in January this year, the Portuguese Supreme Court, in deciding that the McCanns had lost their long-running libel case against the original investigation co-ordinator, Dr Gonçalo Amaral, declared that the McCanns were incorrect in claiming that the police had ‘cleared’ them. 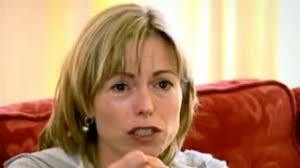 2 The researchers wrongly assumed that there were no valid reasons for doubting the McCanns’ account of how Madeleine disappeared. 3 The value of the research project was thus fatally undermined by a theme running throughout the research project, viz. 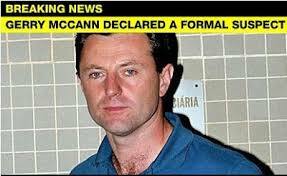 : The McCann-doubters (‘anti-McCanns’) are wrong, and therefore not motivated by seeking the truth, and are bad people, while the McCann-supporters (‘pro-McCanns’) are right, have pure motives and are good people. 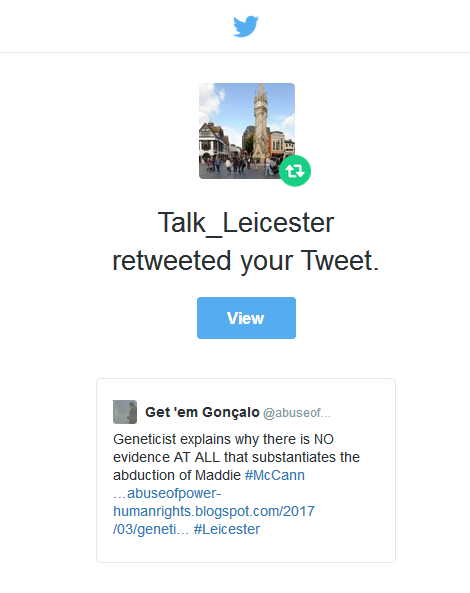 4 One of the researchers, Andrea Coulias, who became a member of the #McCann hashtag on Twitter for six weeks to interact with the ‘anti-McCanns’, grossly misled the entire hashtag by falsely representing that one particular research project (Lasseter) showed that cadaver and blood dogs were ’unreliable’. She had absolutely no basis for saying that. 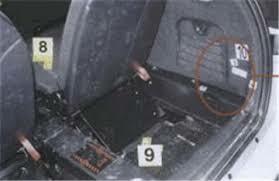 5 Moreover, the cadaver dog evidence in the Madeleine McCann case consisted of 17 separate alerts to either corpse scent or blood in the following locations associated with the McCanns; their apartment (lounge, master bedroom, veranda and garden); their hired car; three of their clothes, and personal items. 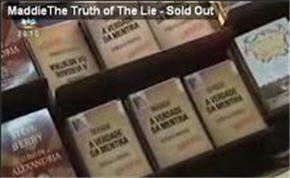 These were carried out by a top British dog handler, Martin Grime, who was recommended by the top agency for British policing, the National Crime Agency, whose cadaver dogs did have a 100% track record of success in trials, contrary to Ms Coulias’ misinformation, and who was headhunted by the FBI in the U.S. and now works for them. 6 For these and other reasons set out below, the three researchers (and those who peer-reviewed this work) have brought the University of Huddersfield and the science of forensic psychology into disrepute. 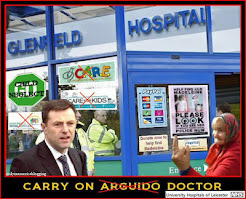 7 In addition, on several occasions, Andrea Coulias was guilty of the very conduct she was supposed to be investigating e.g. 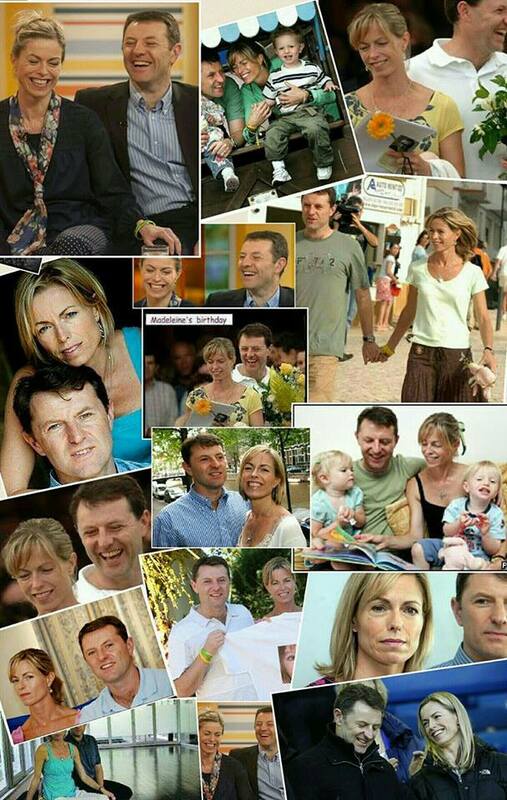 mocking, belittling and goading the anti-McCanns. 8 Andria Coulais’ conduct undermined many of the assertions she made about the anti-McCanns’ conduct, which she grossly misrepresented. 9 Several examples of clear researcher bias are noted. 10 The researchers did not use or even mention dictionary definitions of trolls, and in any event didn’t define anywhere what they meant by a ‘troll’, once again undermining the entire research project. 11 Numerous assertions were made without any substantiation for them. 12 The entire research report is littered with tendentious subjective assessments. 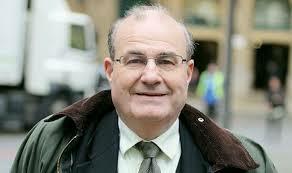 13 The report is so bad that it must be withdrawn as soon as practicable. 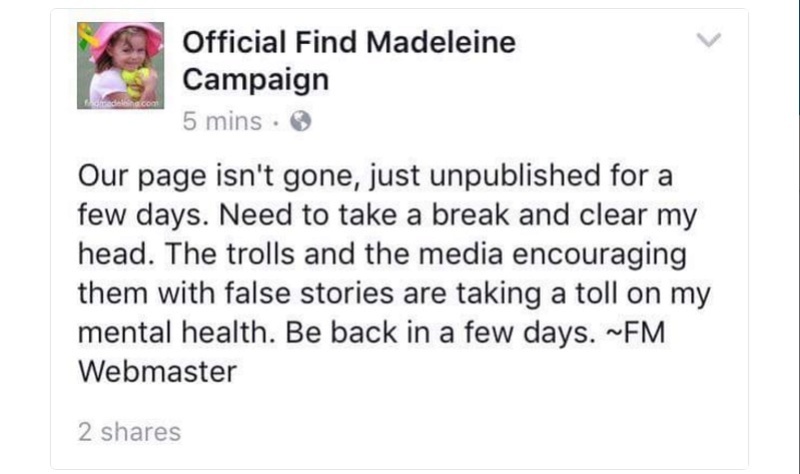 15 A formal apology should be made via the #McCann hashtag in respect of the misinformation she introduced on that hashtag, namely falsely accusing McCann-doubters of ‘rejecting science’. By way of background, let me explain our interest in that research project. 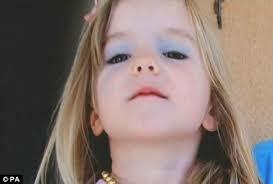 I am the owner of an internet forum, the Complete Mystery of Madeleine McCann. 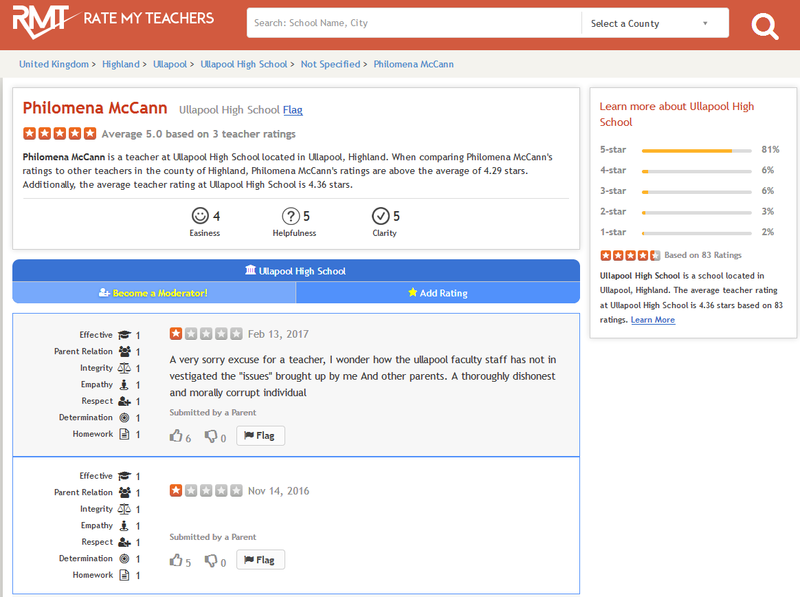 I founded it in November 2009 and it has had steady growth since then. We now have over 7,100 members. 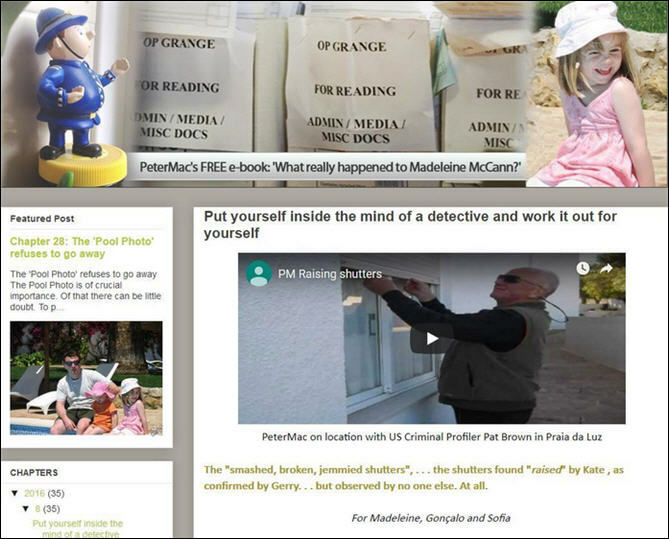 I can say without fear of contradiction that it is the most popular and most-read internet forum covering the Madeleine McCann case. 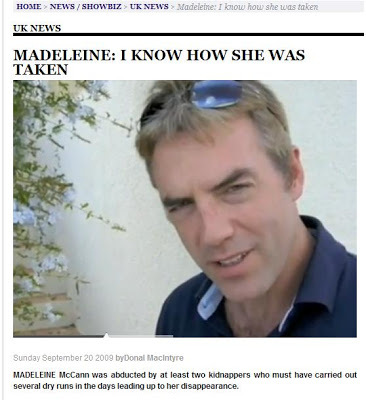 Its main purpose is to search for the truth about what really happened to Madeleine McCann, by bringing together researchers who pool their information and analyses of the evidence. 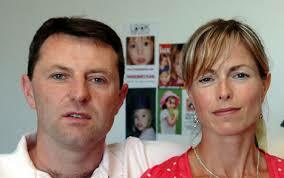 Our forum takes a sceptical view of the McCanns’ and the British police’s view of the case. None of my members can fairly be described, by any stretch of the precise meaning of the word, as ‘trolls’. Indeed, were I to become aware that any of my members have indulged in what might be termed ’trolling‘ behaviour, I would ban them and, on occasions, have done so. Whilst members may have robust views on certain matters and may be critical of the McCanns and their advisers and backers, it does not indulge in anything that could be described as ’hate’ or ‘abuse’. Bad language of any kind is not tolerated. 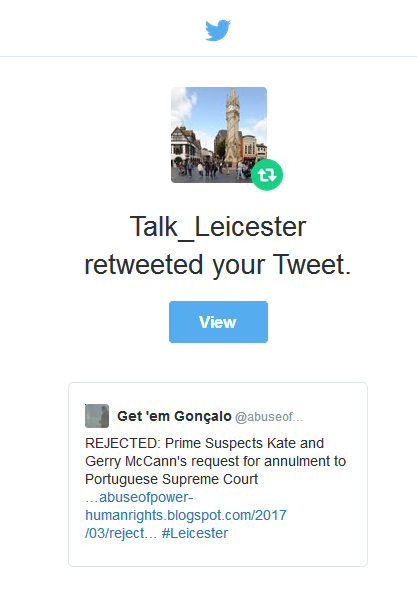 I will also add that some of my most active members are those with professional or academic qualifications who use their expertise to analyse the case in depth. 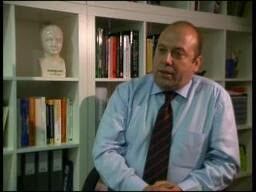 They include forensics experts, photographic experts, former police officers and solicitors. 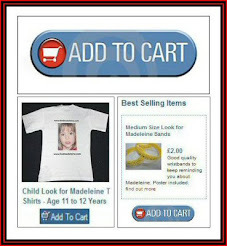 We are also part of an international effort to seek the truth about Madeleine McCann, which is concentrated in Britain and Portugal but extends to forums and internet sites in many other countries, including the U.S., Germany and the Netherlands. 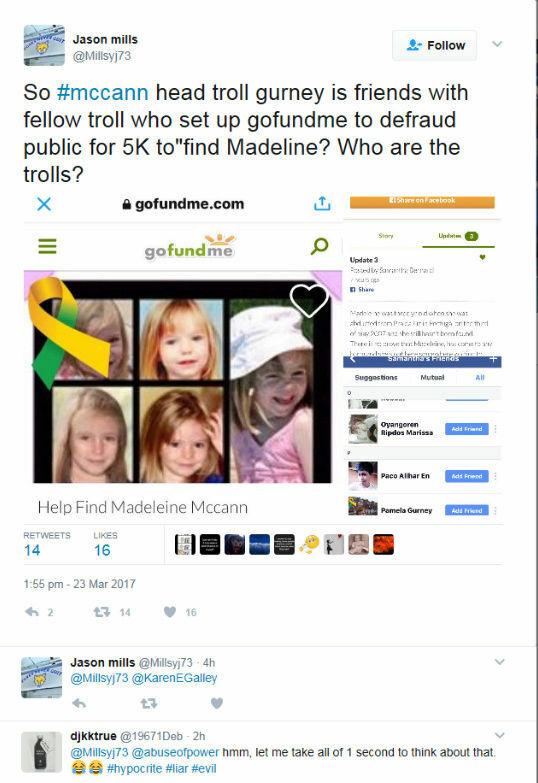 Another of our concerns is what has amounted to a form of hysteria generated on occasions by constant references to ‘anti-McCann trolls’. This reached its zenith in August and September 2014, just before your researchers carried out their work in 2015. 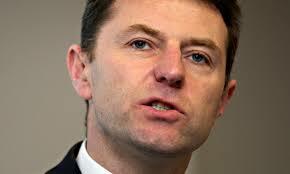 References were made at the time to a ‘dossier’ of nasty tweets and internet messages by ‘anti-McCann trolls’. 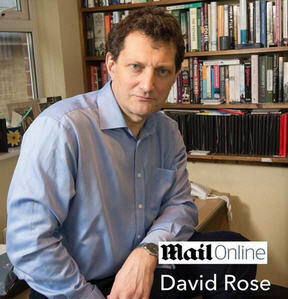 The media referred to the dossier as having been compiled by a ‘McCann supporter’. 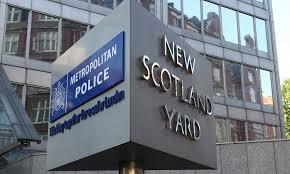 The dossier was handed to the Metropolitan Police, who made public pronouncements on the dossier (I should add that, later, the police publicly acknowledged that the dossier did not contain any messages that could be drafted as constituting a criminal offence). 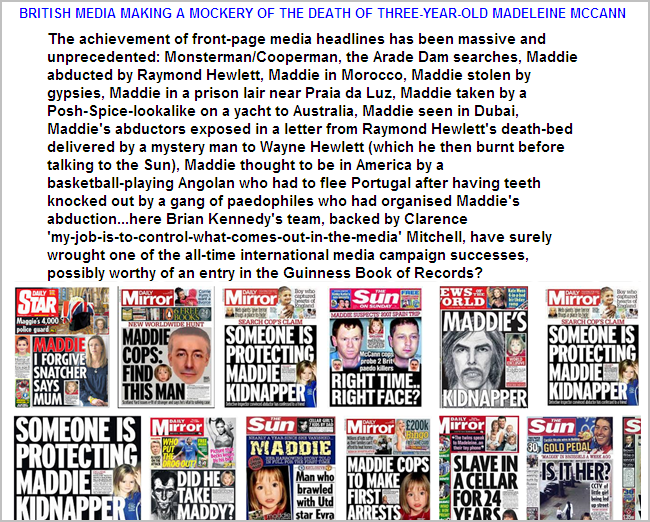 The media at the time (August 2014) quoted Madeleine’s father, Gerry McCann - who had been active in the ‘Hacked Off’ campaign which aimed to suppress freedom of the press - as saying that such internet trolls must be severely punished. 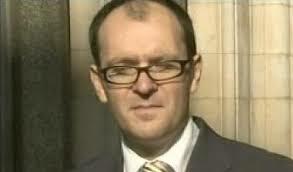 He publicly called for prosecutions of trolls who ‘should be made an example of’. 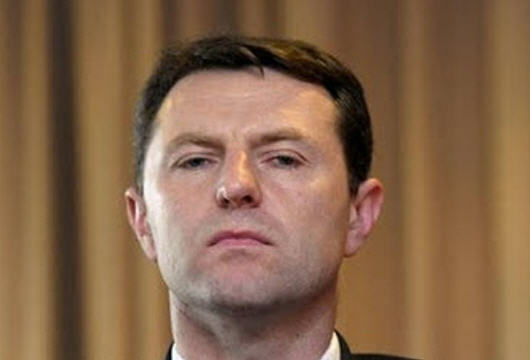 What followed shortly after his remarks, and the news about the above ‘dossier’, was the door-stepping - by SKY News Crime Correspondent, Martin Brunt - of a 60-year-old Leicestershire divorcee, Brenda Leyland, who had been active on the #McCann hashtag on Twitter, the very area of the internet chosen by your researchers to examine, just months later. 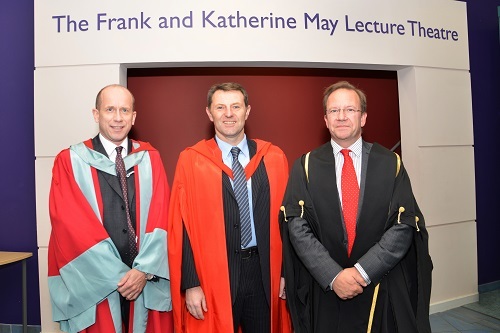 This door-stepping took place on Tuesday 30 September. 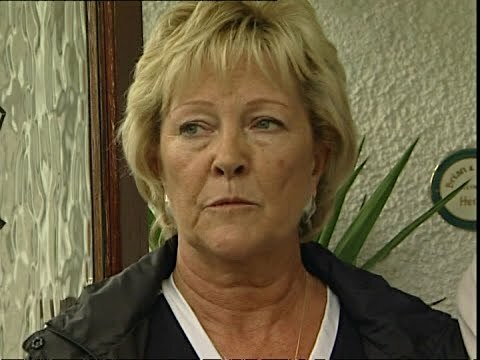 On that day (30 September 2014), Brunt having door-stepped Brenda Leyland and later interviewed her in her own home, she confided in him that she felt suicidal at being exposed as a ‘troll’. 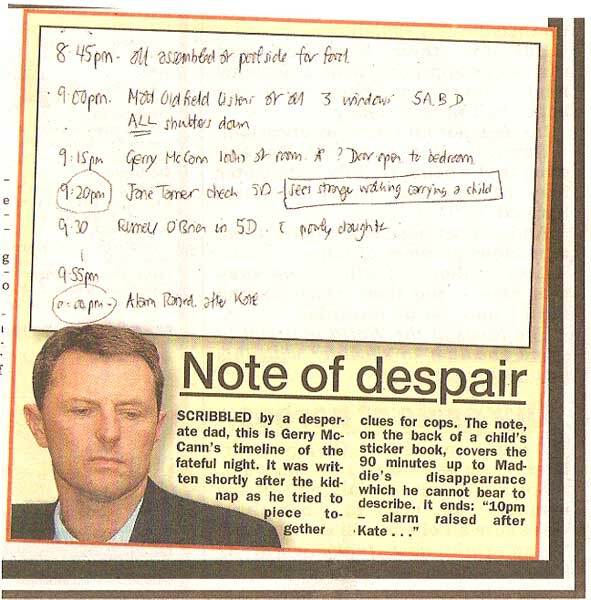 Despite this, and knowing that Brenda Leyland was a vulnerable divorcee living alone, Martin Brunt and the editors of SKY News transmitted the doorstepping episode of her every 15 minutes throughout the following day. She fled from her home the day after, staying at the Marriott Hotel, Enderby, Leicestershire, just next to Leicestershire Constabulary headquarters where, on Saturday 4 October - just two days later - she was found dead, having - according to the subsequent Inquest - killed herself with an overdose of helium gas. 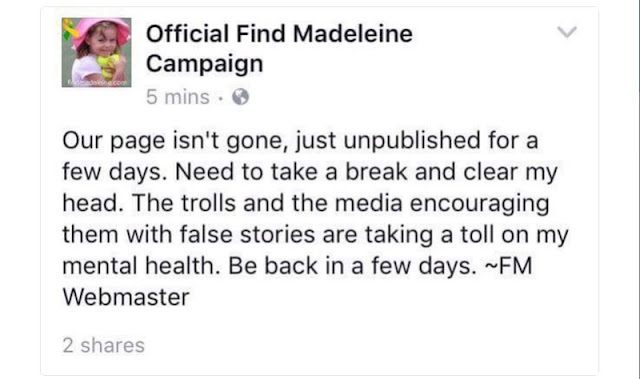 So we have already had one death as a result of a hysteria about ’anti-McCann trolls’. 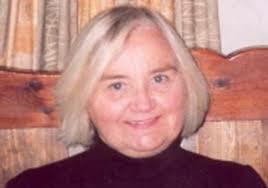 Your research project has been featured in the scientific journal Nature and published in many newspapers in Britain and in the U.S. We do not want one more ‘Brenda Leyland’. 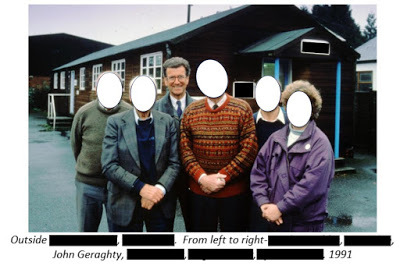 That is one of the reasons why we on our forum require you to carry out an immediate and rigorous examination of the conduct and contents of this research. .
My other concern is that the publicity generated by your research project feeds the myth that anyone who doubts the abduction narrative promoted by the McCanns, the British police and the media, must be some kind of nasty, abusive troll. 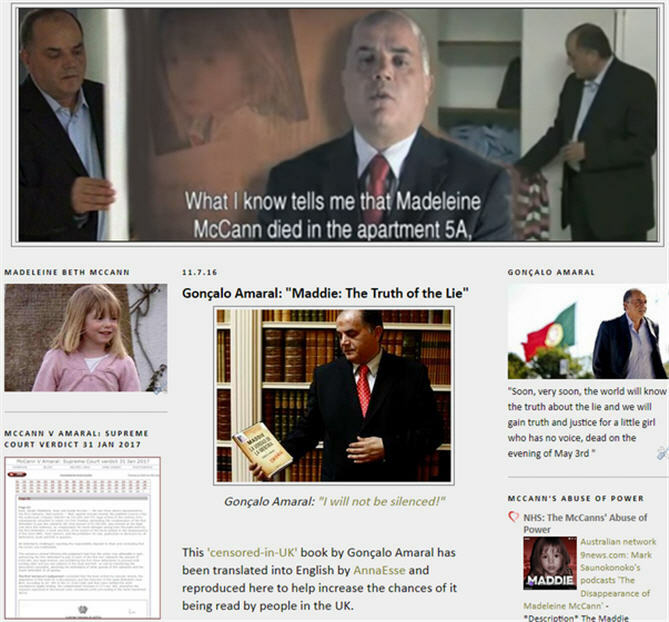 Please look at my forum and you will discover a huge volume of high quality information, research and analysis that would force any neutral individual to consider the possibility that Madeleine McCann died in her parents’ holiday apartment and that her body was hidden. 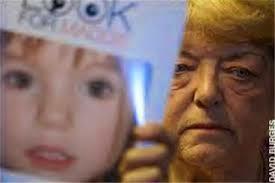 Many professionals believe that Madeleine McCann died in her holiday apartment. 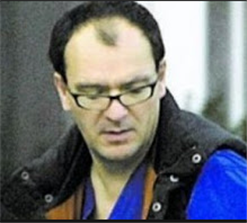 I would first of all draw your attention to a lengthy article by one of the most eminent forensic psychologists in Germany, Dr Christian Ludke. 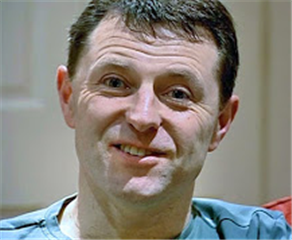 In a forensic science journal, he suggested there were ‘numerous indications’ that the McCanns were guilty of covering up the death of Madeleine. 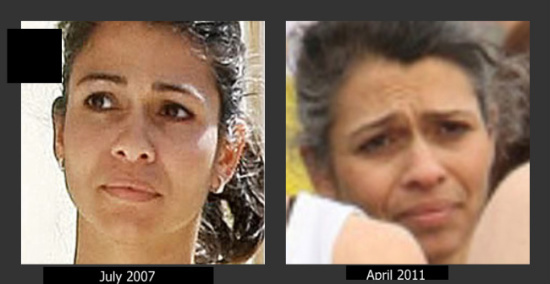 Likewise, Daniela Prousa, German psychiatrist and author, wrote: Analyse des Vermisstenfalles Madeleine McCann (An analysis of the case of missing Madeleine McCann). 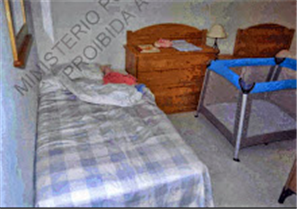 Using what she described as ‘Interpretative Phenomenological Analysis’, she also concluded from her analysis that Madeleine McCann died in her parents’ apartment. 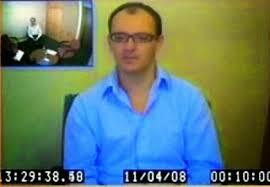 Another Forensic Psychologist who states that Madeleine died in her parents’ holiday apartment is Dr Paulo Sargento, a University Professor, Forensic Psychologist and author in Portugal. 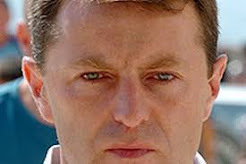 He has published numerous articles suggesting that the McCanns are not telling the truth about what happened to Madeleine. 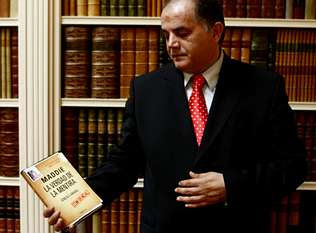 You will also be aware that the original co-ordinator of the Portuguese criminal investigation into Madeleine’s disappearance, Dr Gonçalo Amaral, wrote a book, ‘The Truth about a Lie’, setting out in detail the conclusions of himself and his colleagues that Madeleine died in her holiday apartment. 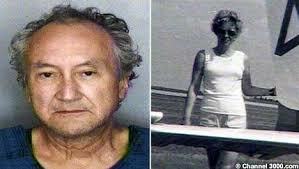 A noted Criminal Profiler in the U.S., Pat Brown, has published a book in the U.S. setting out the same conclusion. Another U.S. book, ‘Faked Abduction’, by Brian Johnson, sets out in 400 pages why the evidence points to Madeleine McCann having died in the McCanns’ apartment. 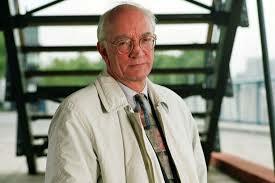 John Stalker, well-known, retired, police detective: “The McCanns are hiding a big secret”. 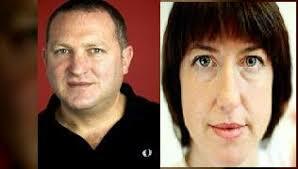 Christopher Friend, well-known U.S. commentator and writer: “The McCanns need to come clean now”. 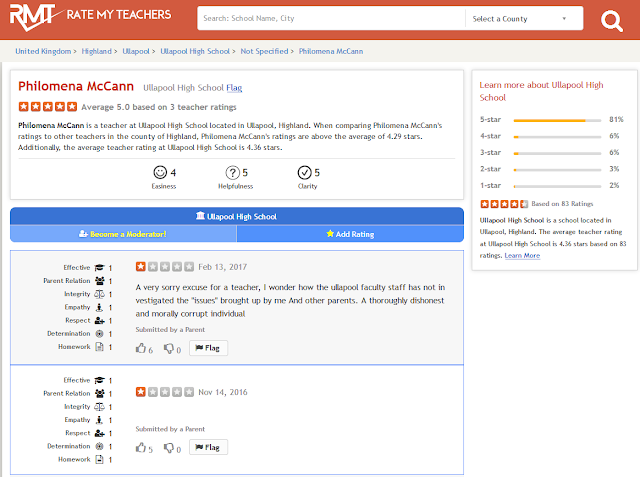 [ http://freindlyfirezone.com/home/item/19-mccanns-needs-to-come-clean-now ] . 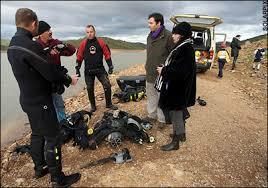 C7 What was Lasseter’s study all about, and how should it be interpreted? 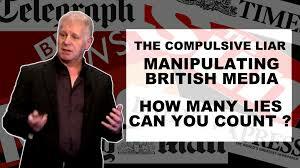 C8 What definition of the word ‘troll’ was used by the researchers? 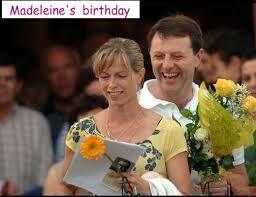 C19 Were the McCanns too controlled in their response to Madeleine’s disappearance? 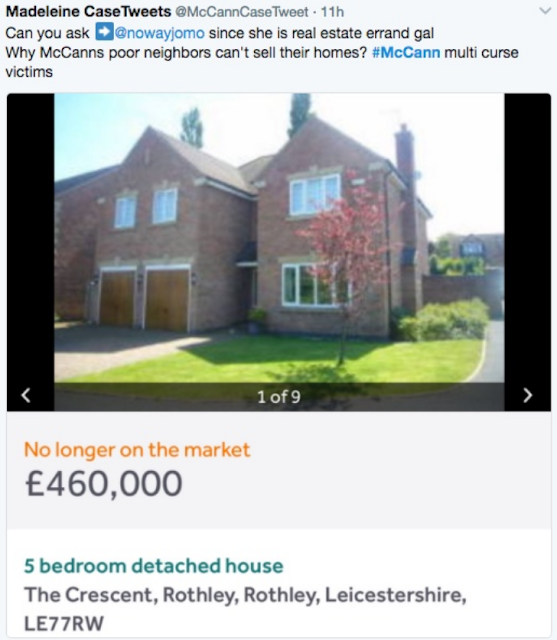 C21 Pro-McCann Trolls – why were they not investigated? C23. Was there an agenda? In a concise manner, the grounds invoked by the Appellants come down to a technicality. The Appellants argue the Public Prosecutor's Archiving Dispatch filed the criminal investigation under the Code of Criminal Procedure (CPP) article 277.º, no.1, and that the Supreme Court's ruling states they were not exonerated within the no.2 of that same article. 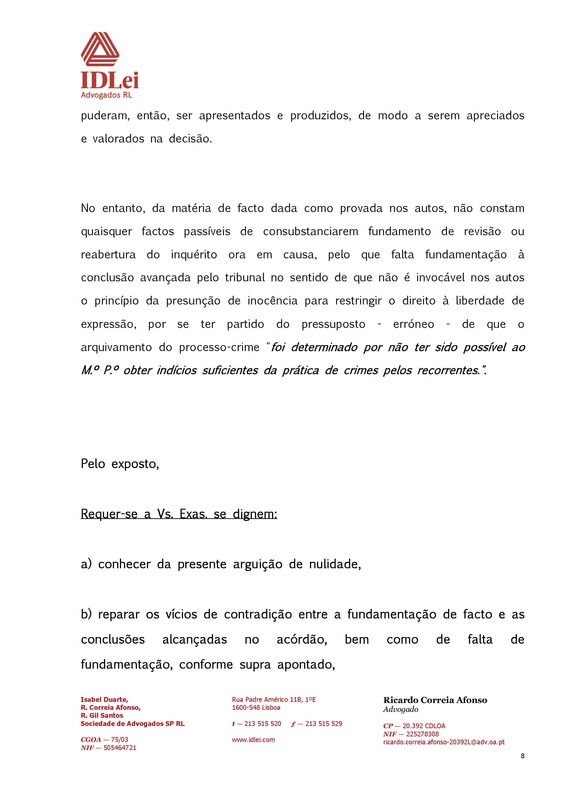 In other words, they allege the Public Ministry prosecutor José de Magalhães e Menezes, and the joint prosecutor João Melchior Gomes archived the process because they were not suspects of any crimes and that, on the other hand, the Supreme Court's judgement was wrong to state that the Archiving Dispatch established that there was not enough evidence gathered to bring charges. 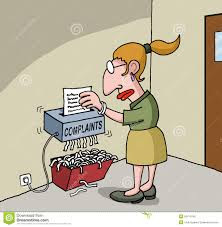 Finally, the Appellants seem to have opened an unexpected Pandora's box, their actions may now force a written correction of the article that should have been used in the Archiving Dispatch . 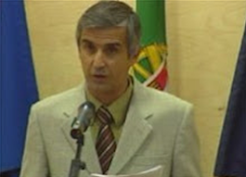 The judgement of the Supreme Court of Justice (STJ) shows that their arguments are based on two points: firstly, that Gonçalo Amaral's thesis goes against the right to the presumption of innocence that they enjoy; secondly, that there is a collision of rights between their honour and their good name and the right to freedom of expression of Gonçalo Amaral and, in this case, the later must cede the right to freedom of expression. 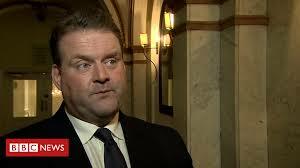 As it is known, the Supreme Court of Justice ruled that there was no depreciation of the right to presumption of innocence, even because that issue was not in question. And, they are correct in judgement. 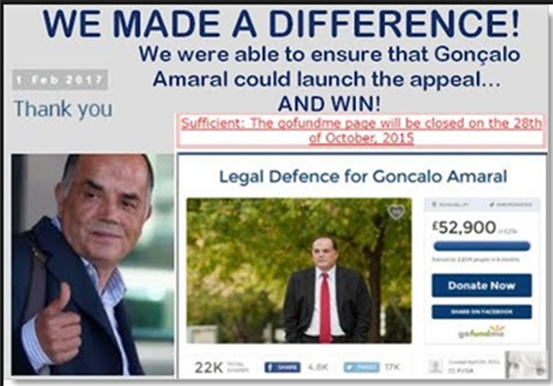 The right to presumption of innocence is extended to all criminal proceedings, but here we are not in the context of a criminal process, but rather an action seeking to assess Gonçalo Amaral's civil liability for the violation of the McCanns' rights. 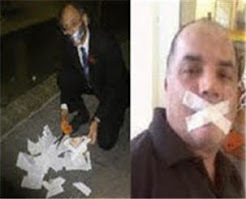 Therefore, there is no connection between what Gonçalo Amaral has said and the principle of presumption of innocence in this case, since the presumption of innocence is only related to the criminal process and here we are in the context of civil proceedings. 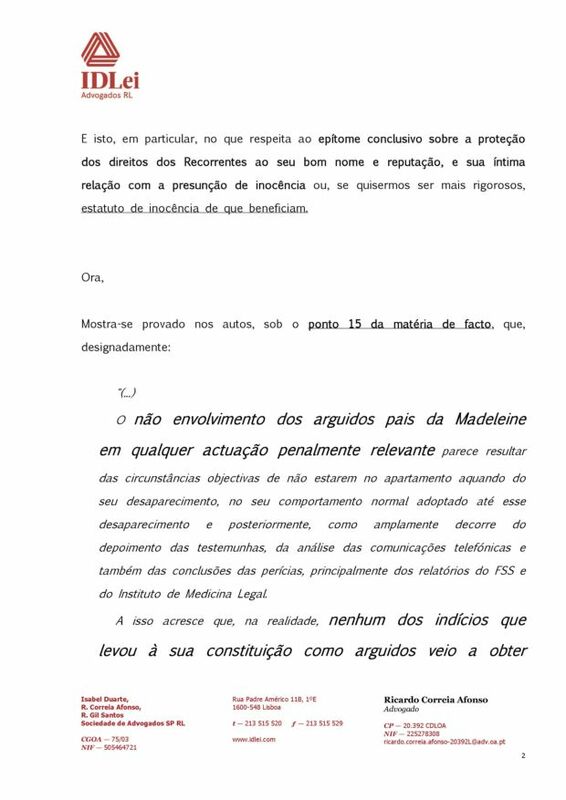 The only issue to assess is which of the fundamental rights in conflict should prevail, and from then a conclusion can be drawn as to whether or not Gonçalo Amaral has violated the McCanns' fundamental rights and therefore has to compensate them. It should be noted this issue was started with the decision of the first instance court which one could argue had an erroneous assessment of the situation of conflict of rights - it was the first instance that messed up by accepting the argument that the principle of the presumption of innocence was in question at a civil case. Concerning this matter, see pages 68 and following of the Supreme Court´s ruling. Then, the other question is, according to the Supreme Court's ruling (page 70), the conclusion of the Public Ministry in the Archiving Dispatch is wrong. To clarify: the Archiving Dispatch has a reasoning. 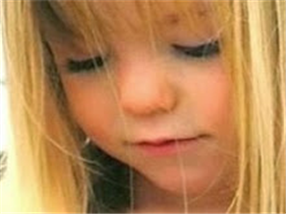 Throughout that reasoning, the prosecutor goes on to say how the facts were ascertained, how blood was found in the car rented by the McCanns, that there were traces of blood in the apartment, how the most likely thesis is that of homicide, but also that it was necessary to admit the possibility of abduction. 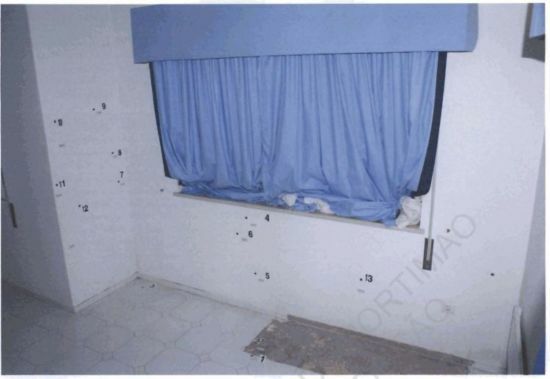 Then the prosecutor goes on to say that the canine markers were not confirmed, that no evidence of the homicide was collected, but that Madeleine could have been killed in the apartment, even though it was not possible to conclude by whom; that the abduction is a possibility to be taken into account due to the witnesses, etc. 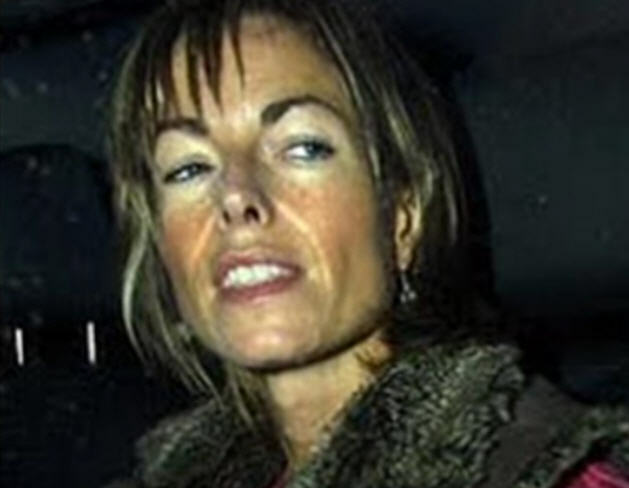 That is, the reasoning of the Public Ministry suggests that the filing is due to lack of sufficient evidence that the McCanns have committed the crime. 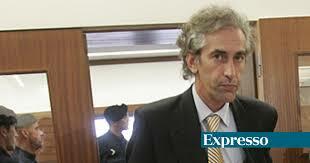 However, upon finishing the dispatch, the prosecutor affirms that the archival is done under art. 277/1 of the CPP, which states that the archival is determined when it is concluded that the defendants did not commit the crimes. In short: the reasoning of the Archiving Dispatch goes in the sense of art. 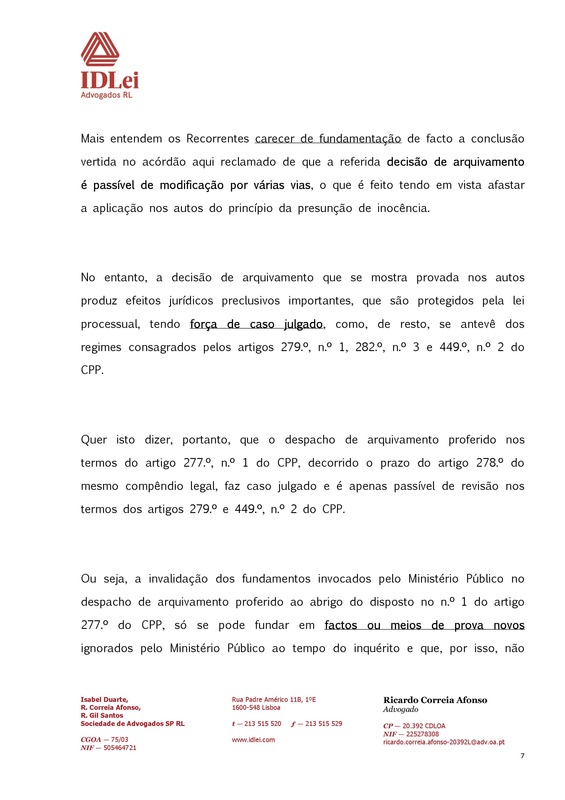 277/2 of the CPP, but in the last paragraph the prosecutor states the archiving is done under the terms of art. 277/1, that is to say, the reasoning goes towards supporting that "there was not enough evidence collected to prove that it was the McCanns" but the last sentence goes in the sense of "it's archived because it was concluded that it was not the McCanns who committed the crime". However, what the Public Ministry prosecutors conclude is that there was a crime (if not of homicide, at least of abduction). In this scenario, only if it was known who the real author was, that is, only if the evidence was conclusive in respect to another person could the prosecutor state "it was not the McCanns". In fact, what the Public Ministry concluded was: (1) there was a crime; (2) there is no conclusive evidence that it was the McCanns. This is the result of the reasoning of the Archiving Dispatch. Therefore, the filing was made under art. 277/2 and not of art. 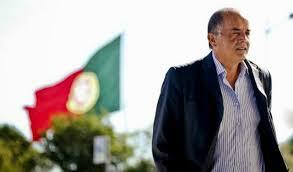 277/1, as, certainly by mistake, the prosecutor affirms. It turns out that the McCanns cling, with tooth and nail, to the last paragraph of the Archiving Dispatch and to the mention of art. 277/1 to claim that the Public Ministry states that they were not the ones who committed the crime, and that, thus the Archival Dispatch innocents them. And therefore, any claim, whatever the source, that they are guilty or have something to do with their daughter's disappearance is false and therefore offensive to their honour. This is how crafty the McCann's thesis is. The problem with their thesis is that it expires if we take into account the reasoning of the Archiving Dispatch - that is, that there is insufficient evidence, so far, to prove that it was them. And that's where it all goes: the McCanns are not right because the Archiving Dispatch did not exonerate them (nor it could, unless it was known that the author of the crime was someone else). 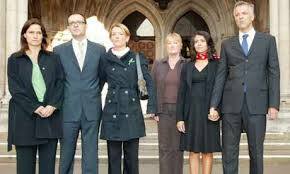 What the McCanns do is to read the judgement up to that fact given as proven and then read the decision, ignoring all of the Supreme Court's arguments that will justify why the court understands that there is no declaration of innocence. They may ignore it, but it is there written, so, without the slightest doubt they will see the request for annulment rejected as manifestly inadmissible. 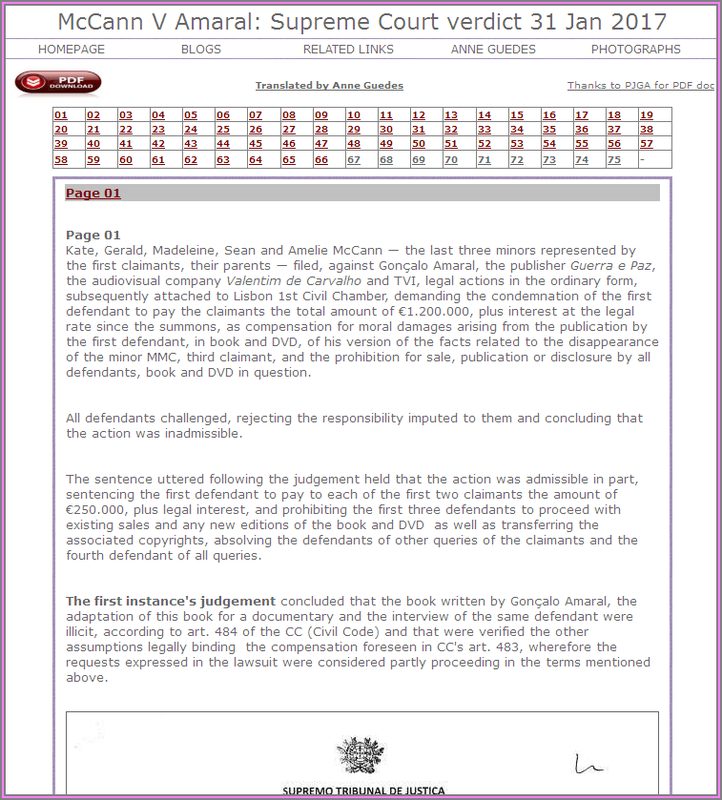 The Appellant's request will not be upheld because the Supreme Court has already explained in the judgement why it reaches to the conclusions established in the ruling and, as explained, there is no contradiction between the Supreme Court's reasoning and the decision, which is why the McCanns' request will be rejected. 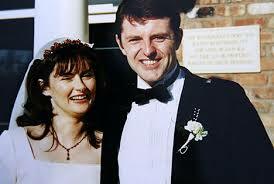 In other words, the McCanns' request in which they seek the annulment of the Supreme Court's ruling is admissible because it meets the eligibility requirements (it was done at the right time, at the right court, it invokes an alleged contradiction between the reasoning of the judgement and its decision, which is the basis for the annulment). But the request will not be upheld, that is to say, it will be rejected, because the McCanns' argument cannot be accepted, since the alleged contradiction does not exist. This is to say that one thing is the admissibility of the request (which will occur, the request will be admitted) and another thing is the decision on the request (which will dismiss it as unfounded). One hopes the Supreme Court judges would state on the annulment's decision something like: “the Appellants accuse this court of frivolously drawing conclusions, but those who frivolously ignore the reasoning of this court's ruling are the Appellants”. It should be noted that a request for the annulment of a Supreme Court of Justice ruling is exceptional, rare. And that this request has a suspensory effect. 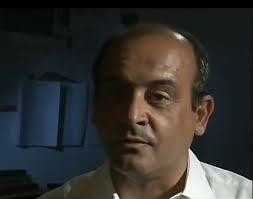 Being suspensive, means that all the consequences of the Supreme Court's ruling are suspended, that is, there is no final and unappealable decision, and therefore, the decision is not definitive and can not be fulfilled, meaning, yes, that Gonçalo Amaral will have to wait for the decision of the Supreme Court on the request for annulment. 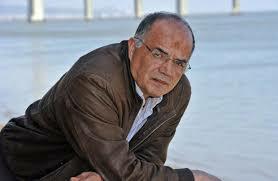 Gonçalo Amaral was notified of the request for the annulment of the Supreme Court´s ruling. 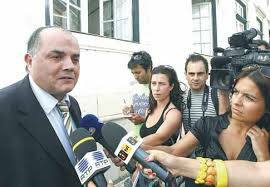 As there is always the right to adversarial proceedings, Gonçalo Amaral can respond, saying that the ruling of the Supreme Court of Justice does not warrant any rectification or criticism. Then all parties have to await for the ruling of the Supreme Court's conference. 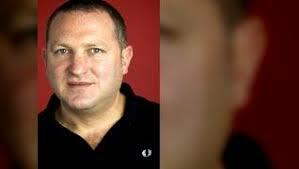 9news.com.au - Finally the REAL story! 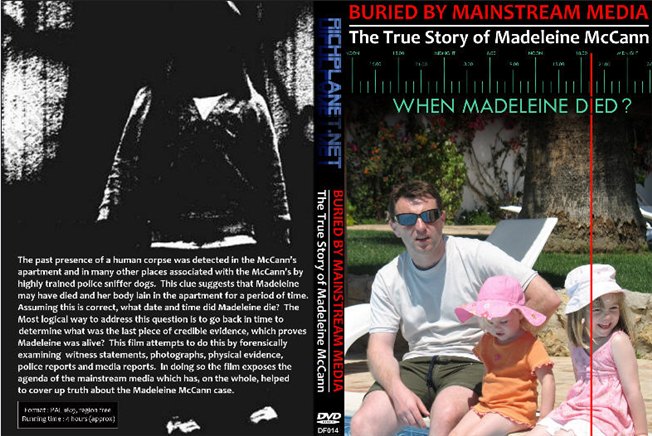 The footage of sniffer dogs searching the McCann's holiday apartment and rental car was one of the most jarring moments to emerge from the investigation into the disappearance of Madeleine. 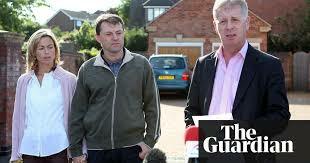 Gerry and Kate McCann, who resolutely claim Maddie was abducted, have always questioned the reliability and objectivity of British dogs Eddie and Keela, despite their impressive credentials. During those searches, Eddie, a cadaver dog trained to detect the odour of a dead body, is seen alerting and barking in Kate and Gerry's bedroom of holiday apartment 5A. 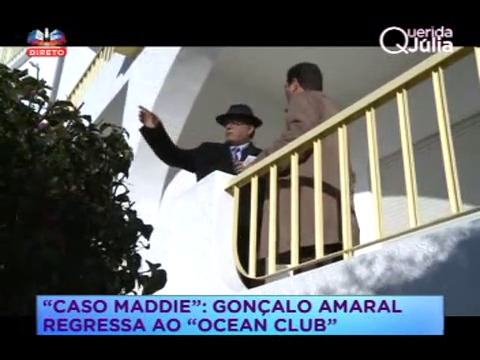 Eddie also "hits" and barks loudly behind a blue couch in the living room of the Praia da Luz apartment where the McCann family stayed in 2007. A second sniffer dog, Keela, trained only to detect human blood, also alerted behind the couch. 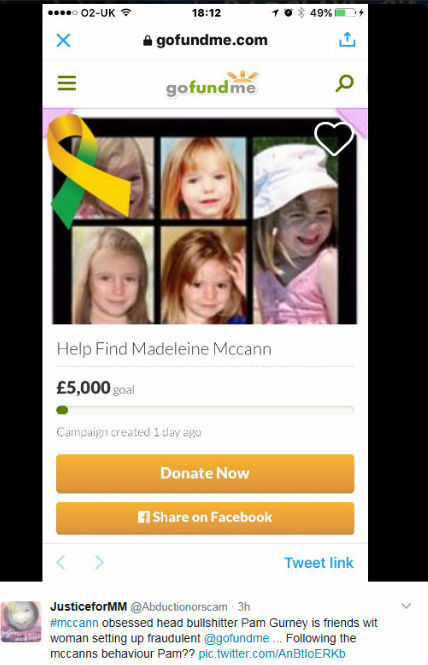 Six days later, on August 6, both dogs alerted on a Renault Scenic rental car the McCann's hired 25 days after Madeleine vanished. Though the work of cadaver and blood dogs cannot be submitted as evidence, investigators hoped Eddie and Keela would provide crucial clues as to what might have happened to Maddie on May 3. 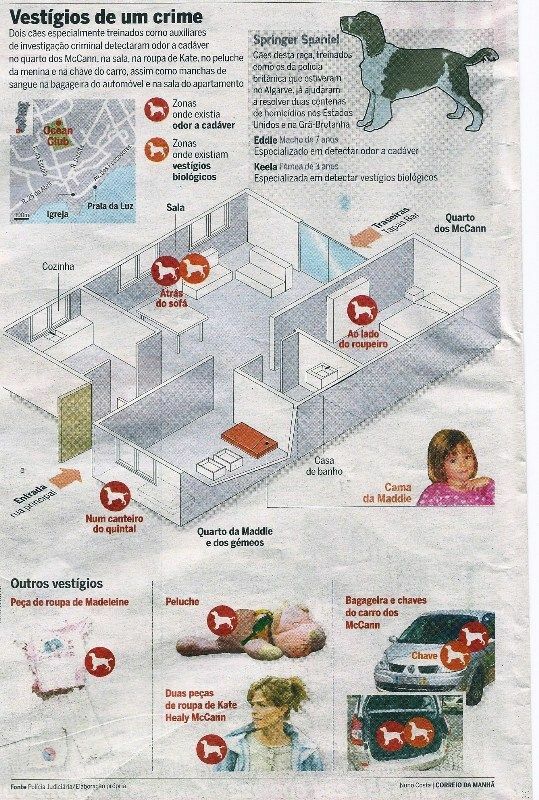 Just days after the dogs finished searching, the McCanns were sensationally named 'arguidos' by Portugal's Policia Judiciaria. 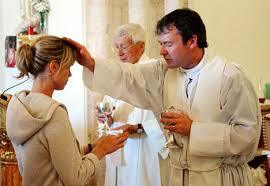 Ten months later, Kate and Gerry were cleared of 'arguido' status. 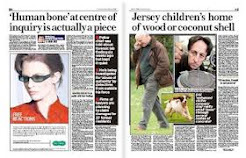 US criminal profiler Pat Brown, who for almost a decade has studied the case and written extensively on Madeleine's disappearance, described Kate and Gerry's reaction to the sniffer dogs as "just not right". "What dogs do is either help you find a body or they help you understand what happened to a body or that there has been a body there," Brown told Nine.com.au. 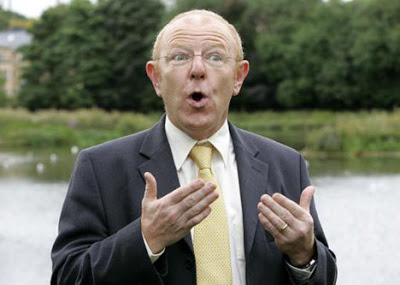 "[The McCann's] reaction to the dogs hitting on things, their reaction and behaviour was incorrect. 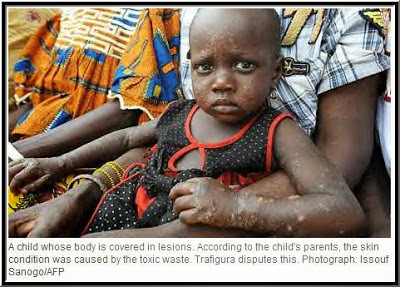 It didn't make sense," Brown claimed. 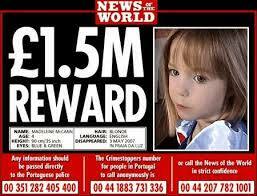 Brown believed it strange that the McCann's did not appear "very concerned" that the work of the dogs indicated a dead body had been in their Algarve holiday apartment. 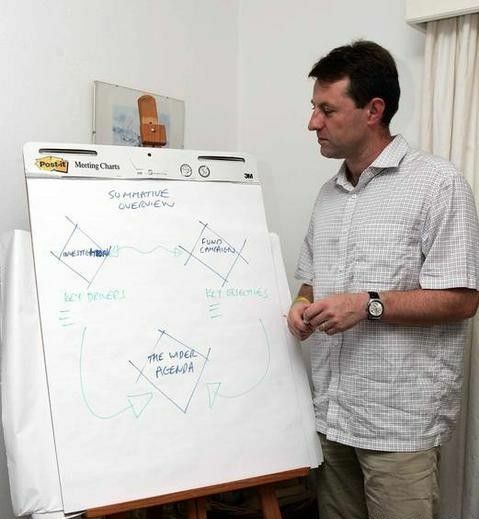 The crime expert, who analyses human behaviour, added the McCanns could just be "off the charts as an anomaly" when it comes to ways people might typically react to events. 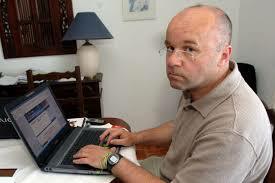 During a 2009 television interview with Portuguese journalist Sandra Felgueira, Gerry McCann was asked about the cadaver dogs alerting to the scent of a dead body in apartment 5A and their rental car. 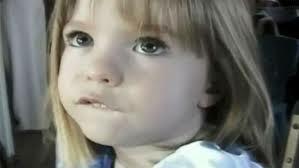 "I can tell you that we've obviously looked at evidence about cadaver dogs and they're incredibly unreliable," McCann replied. 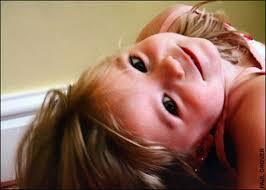 Kate McCann made similar assertions in the book she wrote about her family's ordeal, titled Madeleine. 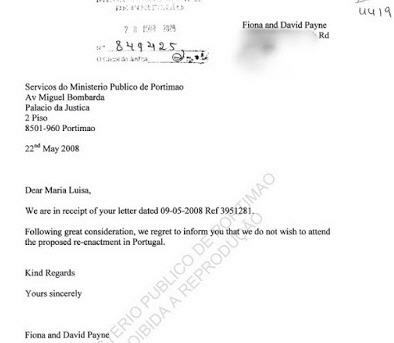 Sniffer dogs Eddie and Keela had been brought to Praia da Luz in July 2007 at the request of Mark Harrison, a British investigator and national adviser to UK police who specialises in searching for people missing, abducted or murdered. 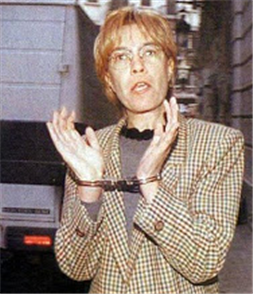 Harrison's remit from Portugal's Policia Judiciaria was to solely explore the possibility that Madeleine had been murdered and her body was concealed in surrounding areas, according to police files. In one of his preliminary reports, Harrison said any alerts by the dogs may suggest that a body had been in the property and then removed. He added "no inference can be drawn as to whether a human cadaver has previously been in any location without other supporting physical evidence". As Harrison delivered his report, Policia Judiciaria were submitting and awaiting results on forensic evidence taken from behind the sofa in apartment 5A and the boot of the Renault car. 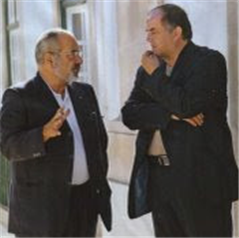 A British scientist from the now defunct Forensic Science Service, John Lowe, came back to Portugal's detectives with forensic results that appeared inconclusive but open to interpretation. 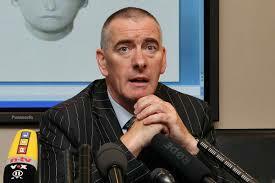 In a September 3, 2007 email, Lowe stated the swab taken from behind the sofa produced an "incomplete DNA result". 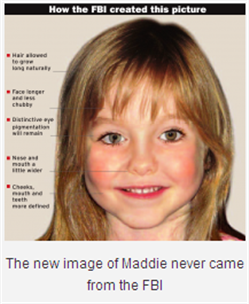 However, Lowe continued: "All of the confirmed DNA components within this result match the corresponding components in the DNA profile of Madeline McCann". Lowe said his testing of the swab from behind the sofa could not determine what kind of bodily fluid made up the DNA sample. But, as would be later noted by the handler of sniffer dog Keela, his canine was only trained to alert to human blood, nothing else. 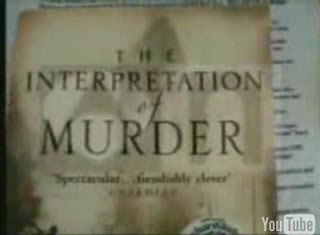 The forensics taken from the boot of the Renault Scenic was judged by Lowe to be "too complex for meaningful inclusion and interpretation". 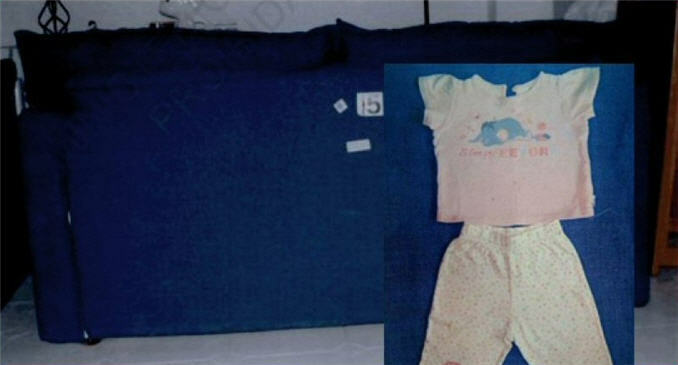 However, Lowe also concluded that 15 of 19 components present in the sample could be linked to Madeleine. 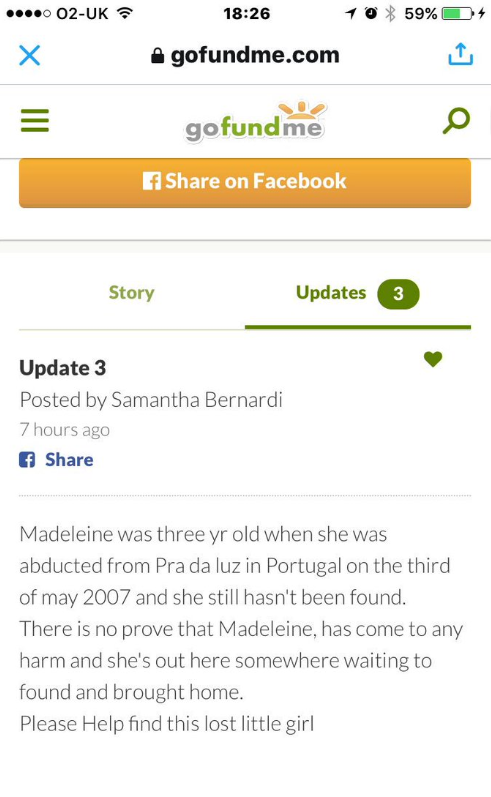 Though "complex", the forensic results from the rental car mean it was possible that Madeleine may have been present in the Renault Scenic. 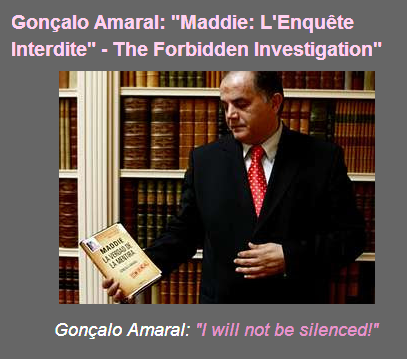 In his book, Goncalo Amaral, the Portuguese detective the McCanns tried to silence, said his team confirmed nobody had ever died in apartment 5A, prior to the arrival of Madeleine's family. Martin Grime, the handler of cadaver dog Eddie, said the dog appeared immediately "very excited" when they arrived at the door of 5A. 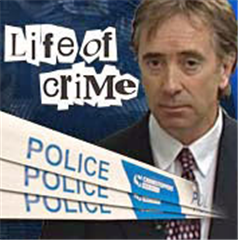 "As soon [Eddie] has come into the house he's picked up a scent that he recognises," Grimes said in a police interview in August 2007. He detailed how the dog barked in two places in the apartment, in the bedroom close to a large wardrobe with shelves, and behind the sofa. "What we should understand with this dog is that he only barks when he finds something, he won't bark at any other times. 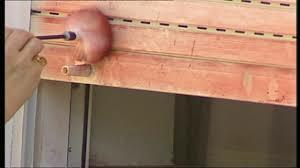 He won't bark at other dogs, he won't bark at strangers, he won't bark when somebody knocks on the door or anything like that," Grimes said in the interview. Grimes also added in the police report that the work of his dogs Eddie and Keela should be backed up and confirmed with corroborating evidence, such as forensics. Cadaver dogs are used widely by Australian police forces to locate dead and missing bodies, according to NSW Dog Unit Commander, Acting Superintendent Sheridan Waldau. 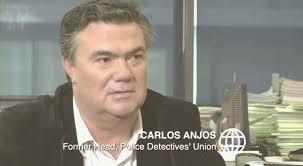 A/Supt Waldau told Nine.com.au he was unsure how cadaver dogs were used in the McCann case, but that his unit can "detect minute amounts of blood or remains across large designated area". 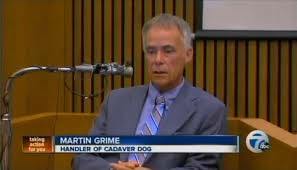 "Cadaver dogs … have proven vital to uncovering evidence in past investigations," he added. Several studies have tried to pinpoint the minimum length of time it takes for a dead body to emit a cadaver odour. A 2007 study from the University of Bern in Switzerland recorded highly trained dogs accurately alerting to cadaver scent within three hours of a person dying. 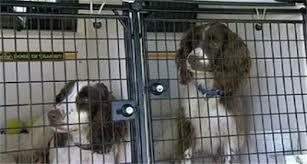 Other studies have shown human corpses with begin to emit cadaver that dogs can detect within 90 minutes of death. The death of her daughter, Madeleine, didn't take a toll on Kate's mental health. 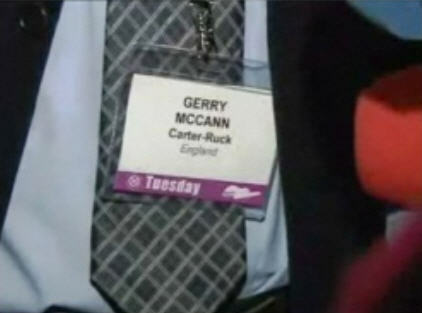 Now then, who's next in line for a Carter-Rucking? Clarence or Tracey? Or maybe both? 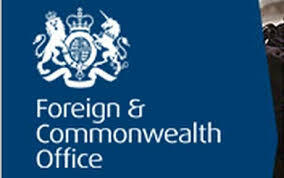 And this in particular as regards the conclusive epitome on the protection of the rights of the appelants to their good name and reputation, and their intimate relationship with the presumption of innocence or, if we wish to be more rigorous, the status of innocence that they enjoy.
" the non involvement of the parents, assisted witnesses, in any penally relevant action stems from the objective circumstances of them not being inside the apartment when Madeleine disappeared, from the normal behaviour that they displayed until said disappearance and afterwards, as can be amply concluded from witness statements, from the telephone communications analysis and also from the forensics' conclusions, namely the reports from the (Birmingham) Forensic Science Service (FSS) and from the National Institute for Legal Medicine. 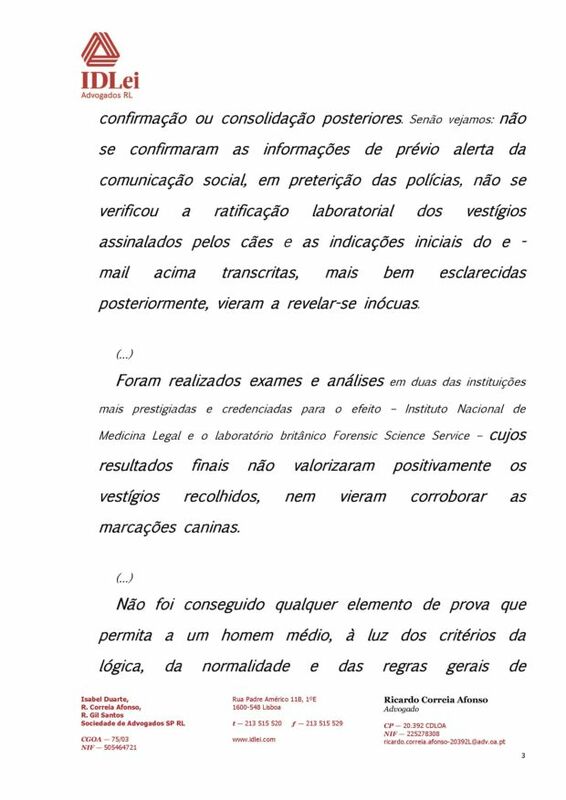 Let's judge it : the information concerning a previous alert of the media before the police was not confirmed, the residues that were marked by the dogs were not corroborated in laboratory, and the initial indications from the above transcribed email (1) better examined afterwards, that ended up appearing to be inconclusive. 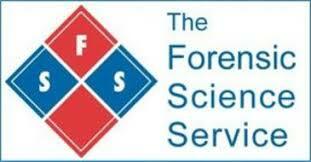 Note 1: The email on the preliminary DNA analysis by the FSS of the samples collected in the car hired by the Mcs. the archiving of the autos concerning the (by lawyer) assisted witnesses Gerald Patrick McCann and Kate Marie Healy, due to the lack of clues of their practising any crime” (cf. Also, alinea AQ) of the established facts in the normalizing dispatch of the process). 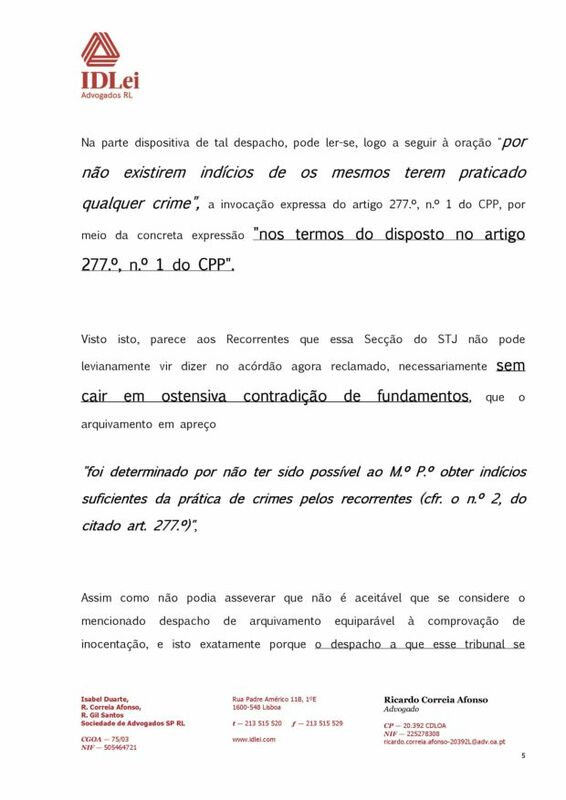 In the operative part of this order, one can read, immediately after the sentence "because there is no evidence that they have committed any crime", the express mention of article 277-1 of the CPP, through the concrete expression "in accordance with the provisions of Article 277-1 of the CPP". 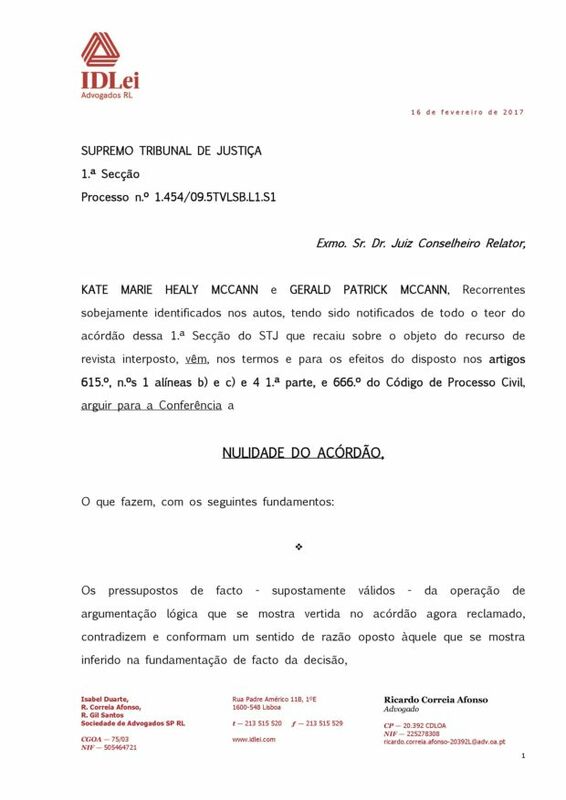 In the light of this, it seems to the appellants that this STJ's Section can not lightly come to say in the ruling now matter of complaint, necessarily without falling (3) into a conspicuous contradiction of grounds, that the archival in question "was determined since it had not been possible for the Public Ministry to obtain sufficient evidence of the commission of crimes by the appelants (cf. Quoted article 277-2)". as a presupposition of the conclusion it reached, does not unexist (4) uttered under article 277-2 of the CPP. 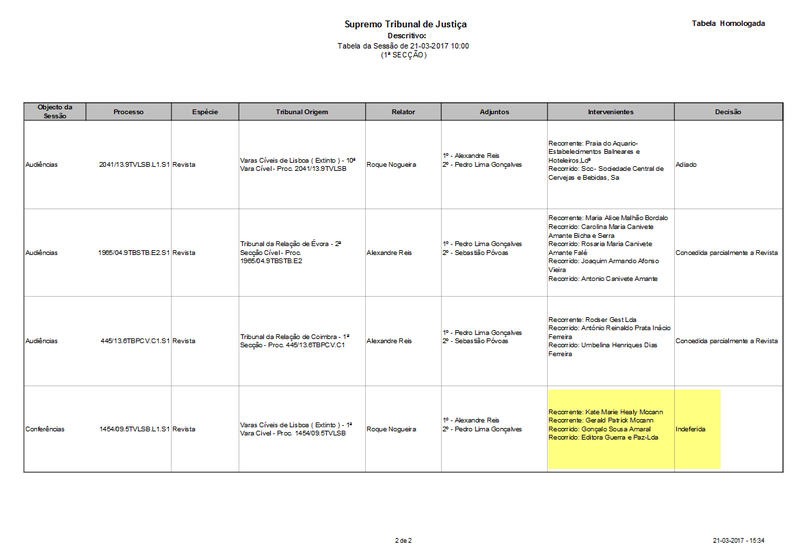 that, in this investigation, exists the necessary certainty that the persons then arguidos did not participate objectively, subjectively and individually in its (5) practice, whether as perpetrators or only as accomplices. Note 5 : this possessive adjective lacks syntaxic representation. One can guess that it refers to the undetermined crime MMC was victim of. 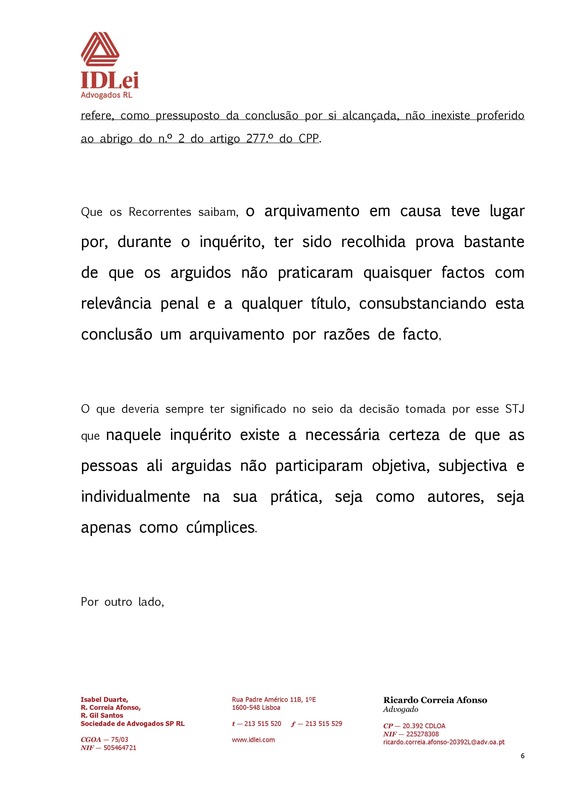 However, the archiving decision, which is proven in the minutes, produces important preclusive legal effects, which are protected by the procedural law, having the force of res judicata, as, moreover, is foreseen in the schemes established by articles 279-1, 282-3 and 449-2 of the CPP. That is to say, therefore, that the filing order uttered according to article 277-1 of the CPP, after the deadline of article 278 of the same legal compendium, is res judicata (6) and is only subject to review according to the terms of articles 279 and 449-2 of the CPP. Note 6 : I’m not a jurist, but I know that the Public Ministry’s job is not to judge, a function that is the privilege of the judges, nobody else’s. Note : read “only new pertinent elements will be able to cast doubt upon the grounds…"
Note 7 : The complexity of the filing order, erroneously called the “AG Report”, is likely related to the difficult task the Public Ministry was facing. And one has to admit that the dispatch is not written as the judges of the STJ remarkably write their rulings. 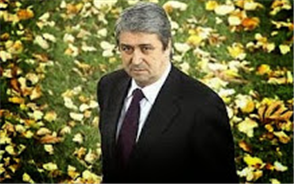 Mr Murat’s arguido status, twice extended, required to put an end to the criminal investigation (the status of arguidos can’t be removed before the end of that investigation phase). 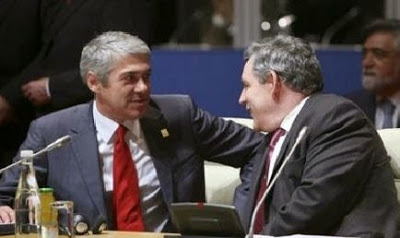 Furthermore the acquaintances of the MCs rejected the request of the PM to go back to PDL and participate in a reconstitution of the 3rd of May events, though it was clearly the last chance for boosting the rather stagnant criminal investigation. The filing order is therefore full of bitterness, but one has to acknowledge an important point : the prosecutors foresaw very well what would be the situation of the MCs, stuck with a decision that wasn’t, couldn’t exonerate them and anticipated the unbearable doubt that would impair their life. 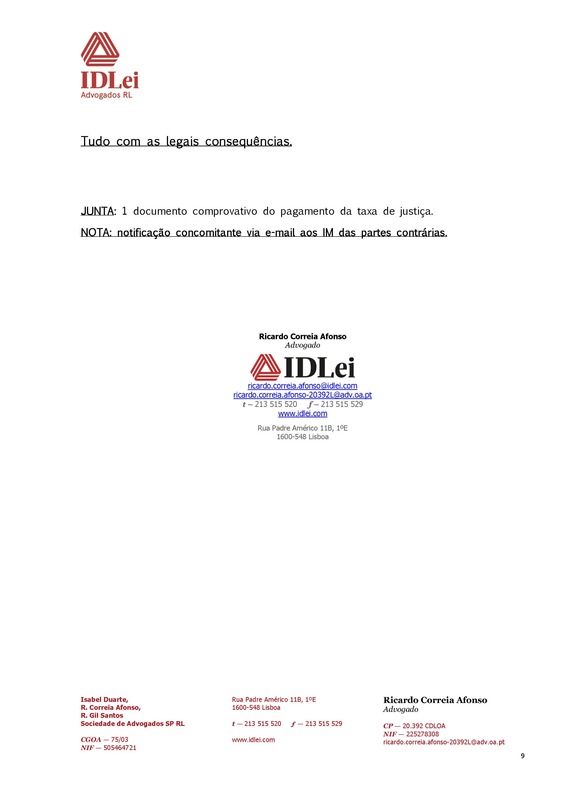 Note 9 : This document was published on PJGA on March 18, about one month after it had been sent to Gonçalo Amaral. Transparency is certainly not always the right attitude to adopt, but once announced it is fair to stick to it. MF has been rightly criticized for what has now become total opacity. 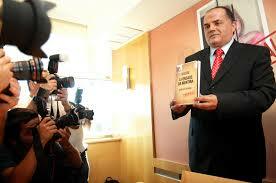 Transparency is therefore, like unfortunately freedom of speech is often, just wishful thinking. But after all don’t promises only bind those who believe in them ?